Adoption Search New York City | Find You Birth Parents Now! Why Search for Your Birth Parents? Adoption is one of the most complicated situations you could ever find yourself in. You might be starting to notice that you look different than everyone else in your family or you feel that a vital part of you is missing, causing you to begin questioning everything about your identity. Finally, you find out that you were adopted and your whole world is shattered – just like that! Even if that isn’t your situation, maybe you’ve known your whole life that you were adopted, you still find yourself curious about where you came from. 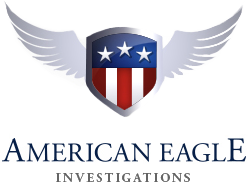 At American Eagle Investigations, we understand how important it is to know about your birth family and where you come from. Throughout our many years in the business, we have been tasked with many adoption searches – finding birth parents, lost siblings, and other relatives from whom you may have been separated as a result of adoption. Why did they put me up for adoption? Do I have any siblings? If so, where are they now? Do I have any aunts or uncles, grandparents, cousins? If you want answers to your questions, start an adoption investigation to find your birth parents or other relatives you didn’t know you had. Knowing about family medical history, such as hereditary diseases, can help with prevention and treatment and if you’re an adoptee you might feel in the dark. Learning about your genetic makeup becomes especially important as you get older and/or start having children of your own. This is a common driving factor of a New York City adoption search. It’s common for adoptees to feel guilt or even anger about being put up for adoption. Do you ever wonder if your birth parents regret the decision and/or if they’ve ever searched for you? An adoption search can bring closure – whether the adoptee meets their birth parents or not. New York is the largest city in the country and finding your birth parents on your own might seem like an overwhelming task. To learn more about how we can help with your adoption investigation, contact American Eagle Investigations at 212-344-8997 and speak to New York private detective Dan McBride. 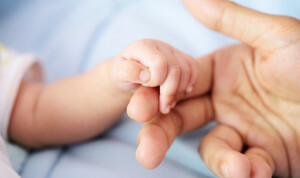 Please note that success rates depend on whether the adoption was open or closed, i.e., whether or not the birth parents and adoptive parents know each other and the types of boundaries established when the adoption took place. However, our access to the most varied and up-to-date records guarantees that there’s virtually no one that we won’t be able to trace. Rest assured that our detective work is done the highest level of discretion and sensitivity, reuniting families quickly and efficiently.